The Bible says in Proverbs, “A merry heart does good, like medicine”. How true! It seems to us that life has been quite serious as of late. We are busy comforting those who have lost loved ones, helping those who are struggling in their walk with the Lord, not to mention the bombardment of bad news regarding the economy. Left to ourselves the world would seem bleak, but thankfully we are NOT alone. We have One leading us day by day who ordains each step before one is taken. What comfort – what assurance. Debi and I were talking about the last time we had a really good laugh! Sadly, we couldn’t remember. The Bible is clear that laughter is good for us – and anyone who has had their cheeks ache from a good, long laugh knows it feels really good! So, purpose to laugh! The gift of comedians is their ability to see humor in every day life. It’s there for all to see, yet we so often miss it. 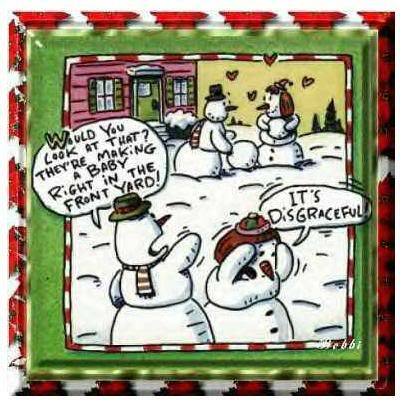 Let’s purpose to look for it and find one piece of humor to share with our spouse before the day’s end. Not only will it feel good, but the Bible promises it will be like medicine to our bones. This entry was posted in Growing Strong Marriages, humor and tagged laughter. Bookmark the permalink.